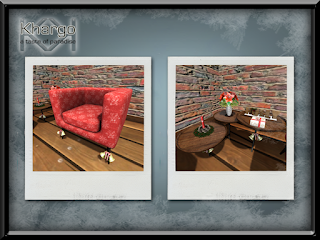 Khargo: Furniture and Design: Huge New Christmas Items Invasion!!! 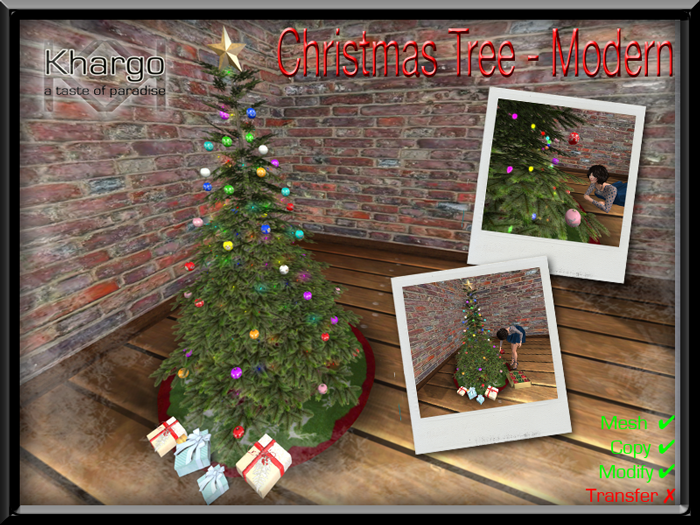 Huge New Christmas Items Invasion!!! We have a Santa sack packed full of sparkly, new Christmas releases and 2 items on sale with My 60L Secret this weekend! 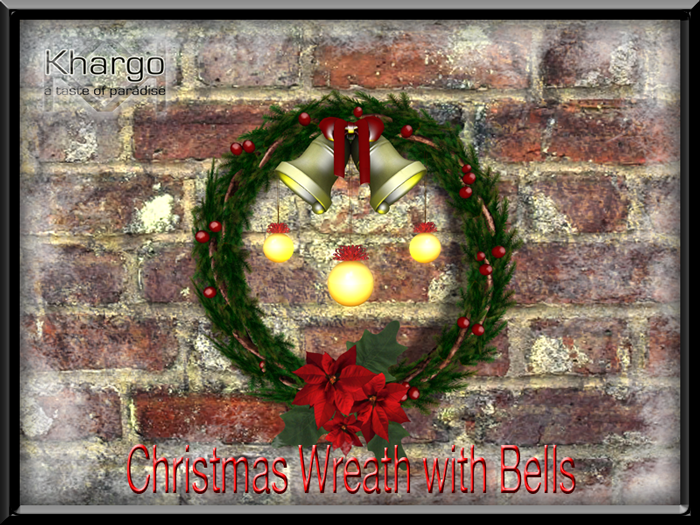 The Khargo Christmas Beanbag is a cosy place to sit and dream of your Christmas wish lists or chat with friends. - 2 styles are included, red and white. This item will be available for My 60L Secret this weekend - normal price is 99L$. 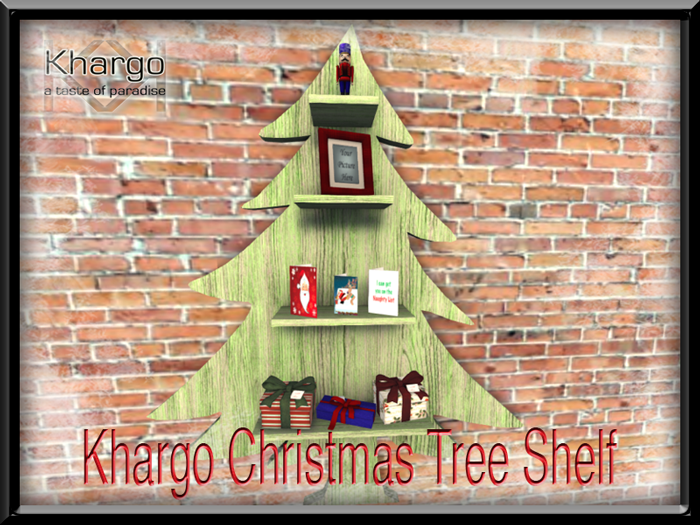 Find it at Khargo Christmas Market in world or on the Marketplace. 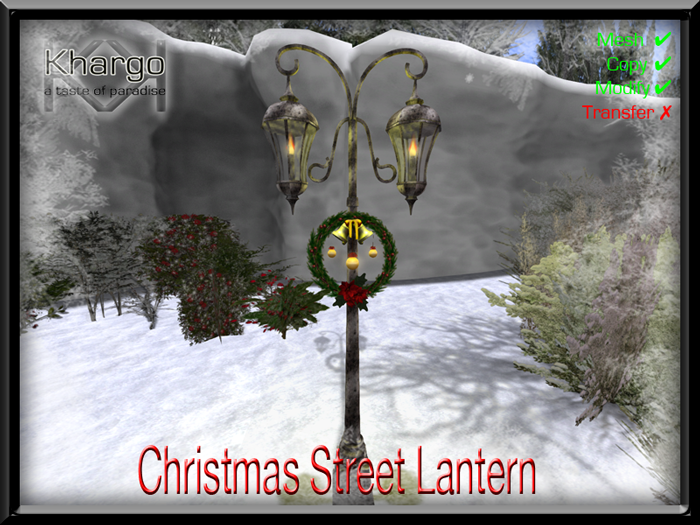 Light up the frosty nights with the Khargo Christmas Street Lantern. Follow the 60L Secret path in world or buy it on the Marketplace. 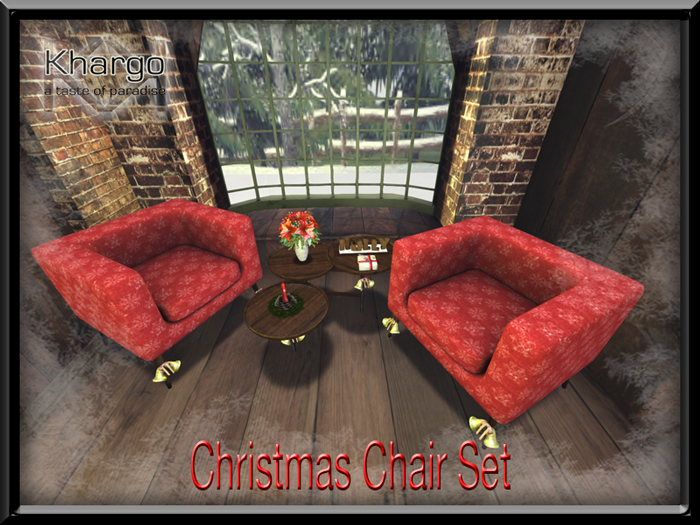 A charming chair and table set with a festive feel. 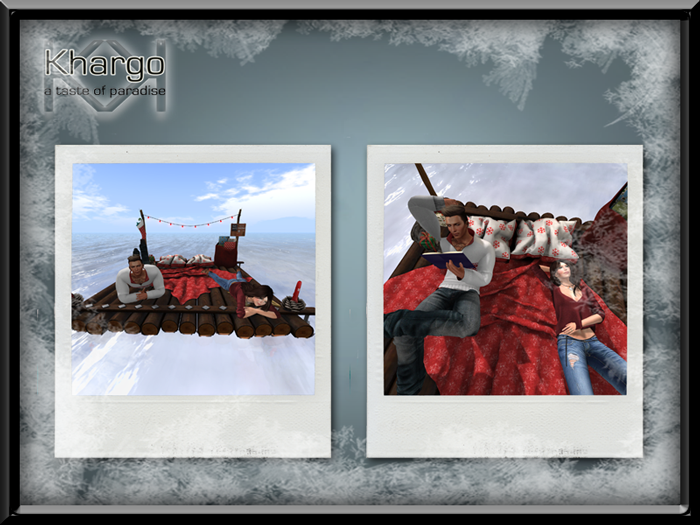 Float away this festive season on the Khargo Christmas Raft! 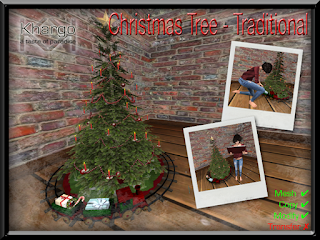 Complete with candles and a train around the base, this tree has interactive animations for a fun, traditional festive season. Trim your tree, dream about your wish lists, sing carols, unwrap presents - a super interactive tree! 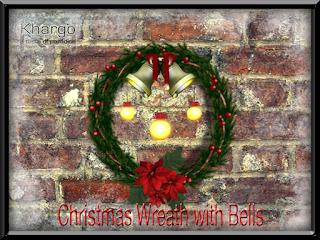 A festive wreath to ring in the holidays! 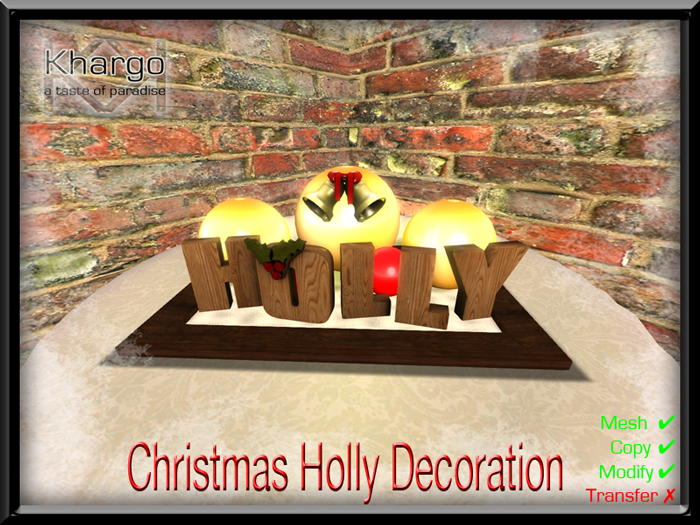 Deck your home with wreaths of holly! 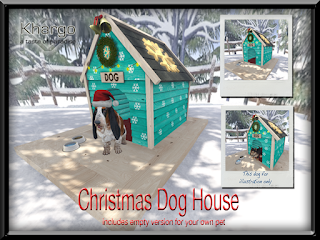 Pamper your pooch this Christmas with his own pimped out kennel! 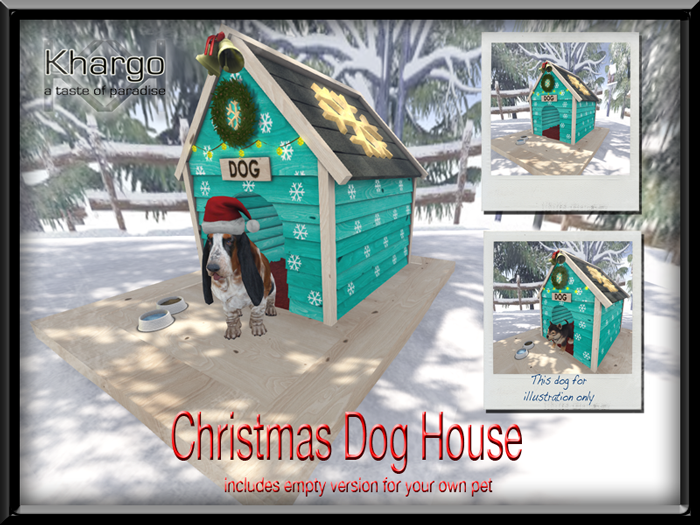 2 versions are included in this item - 1 with an adorable basset hound and one without so you can use it for your own pet. 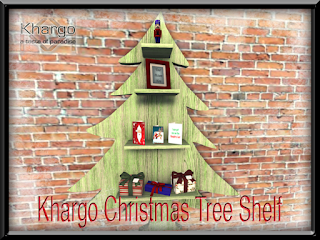 A cute shelf full of Christmas cheer! 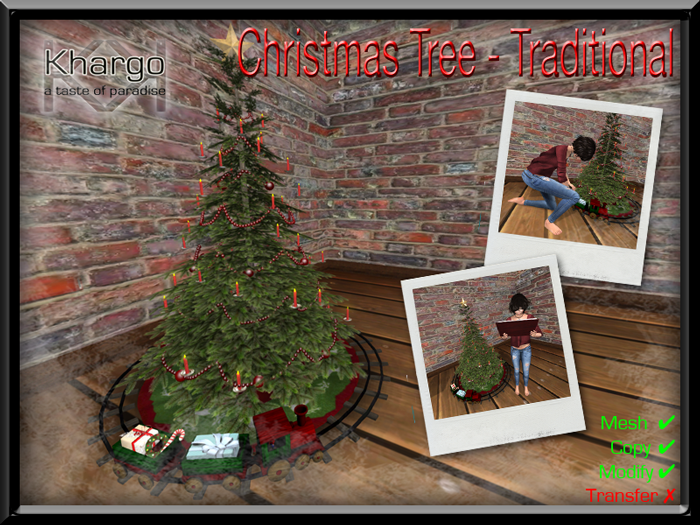 Festive decor item for your home.